FEATURE – To some, it’s a tombstone. To others, it has been a giver of new life. 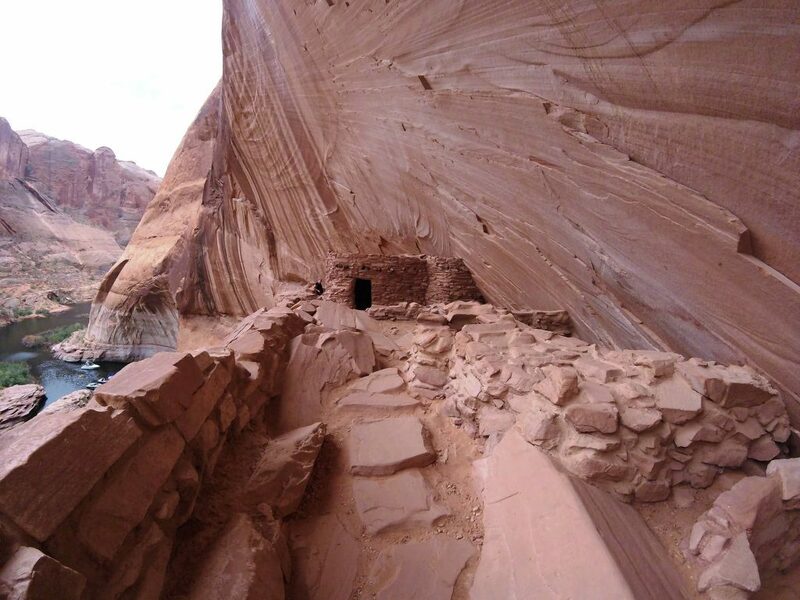 Archaic, Basketmakers, Anasazi, Paiute and Navajo – those are the names of the Native American civilizations, in chronological order, that have made their homes in the Glen Canyon area. 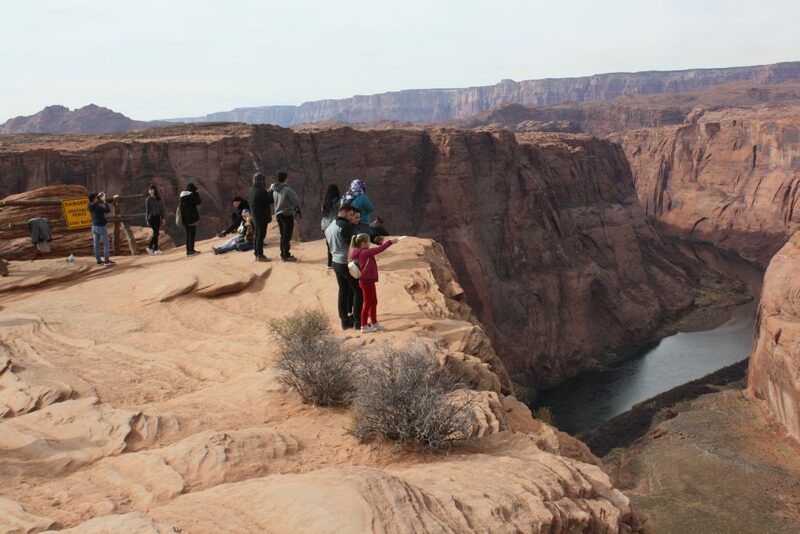 The first European-Americans to see the canyon were the members of John Wesley Powell’s Green and Colorado river expeditions of 1869 and 1871. Powell, the namesake of the enormous reservoir created by the dam, named the now largely-submerged canyon for its hanging gardens and green glens, calling it a “land of beauty and glory.” Some say if he were alive today he would be disgusted that the reservoir that desecrated that glorious landscape bears his name. 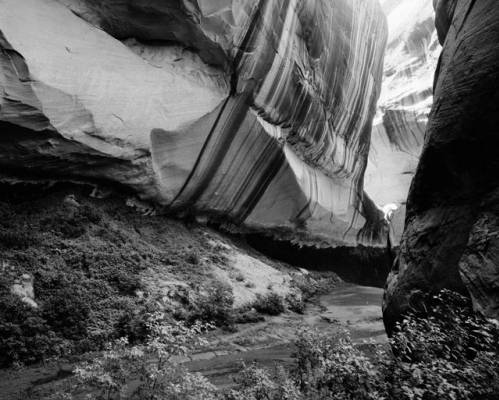 Through his expeditions down the river on dories, Powell became the patron saint of river rafters, whose adventurous exploits, starting in the 1930s, were the only way to see the vast reaches of Glen Canyon and its tributaries and side canyons. 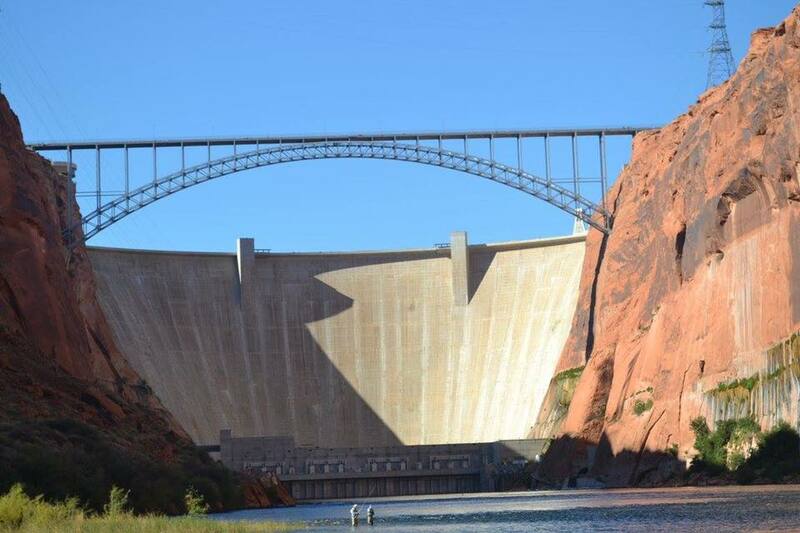 Glen Canyon wasn’t on many people’s radar until a dam was slated to be built there. 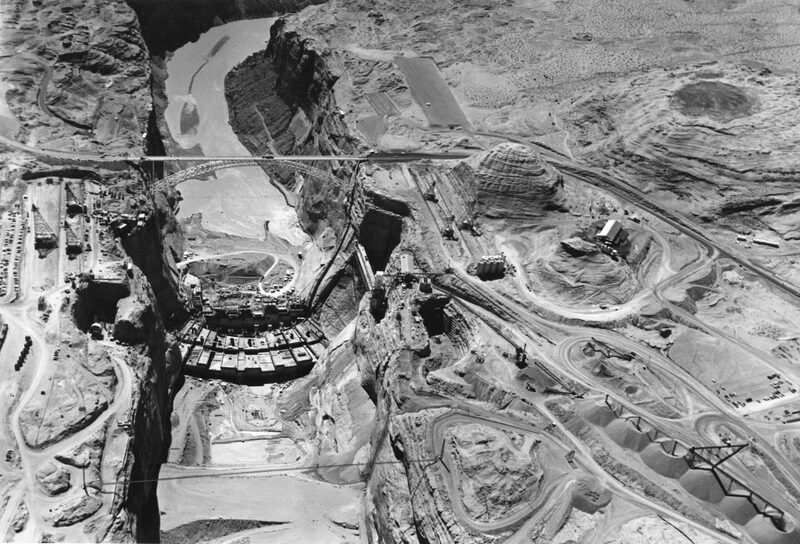 In the early 1950s, the Bureau of Reclamation proposed the construction of three dams within the Colorado River’s upper drainage, one in Glen Canyon and two on the Green River in an area known as Echo Park within the boundaries of Dinosaur National Monument, which raised the ire of environmental groups. Such a dam had already been built in a national park and to environmentalists, that was one too many. In the early 20th century, the Sierra Club fought and lost the fight to stop the damming of the Tuolumne River in Yosemite National Park’s Hetch Hetchy Valley, a place club founder John Muir said was as beautiful, if not more beautiful, than Yosemite Valley itself. Sierra Club Executive Director David Brower, along with a varied cast of contributors, which included famed publisher Alfred Knopf, put together a photo book entitled “This is Dinosaur: Echo Park Country and its Magic Rivers.” They gave the book to every member of Congress so lawmakers could see what would be lost if a dam were built. The uproar and propaganda worked as Brower and the Sierra Club successfully made a concession that no dam would be built in Dinosaur or any national park area. 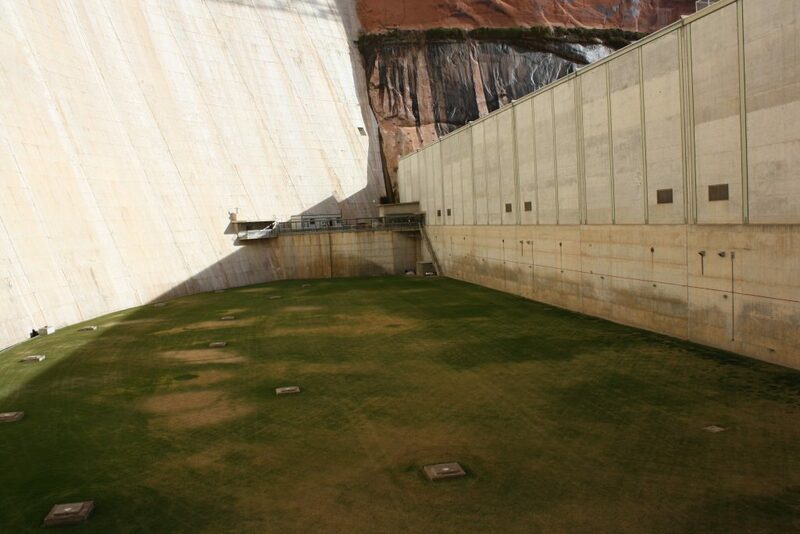 But Glen Canyon neither had such status nor defenders in high enough places – but it did have defenders. The earliest proposal by its advocates to grant the area national park status came in 1937 and another came during the deliberations over Echo Park, but both fell on deaf ears and already-made-up minds. At first, Brower and the Sierra Club felt little remorse in condemning a place that they’d never seen to drowning. But they soon found out that, in this case, ignorance wasn’t bliss. 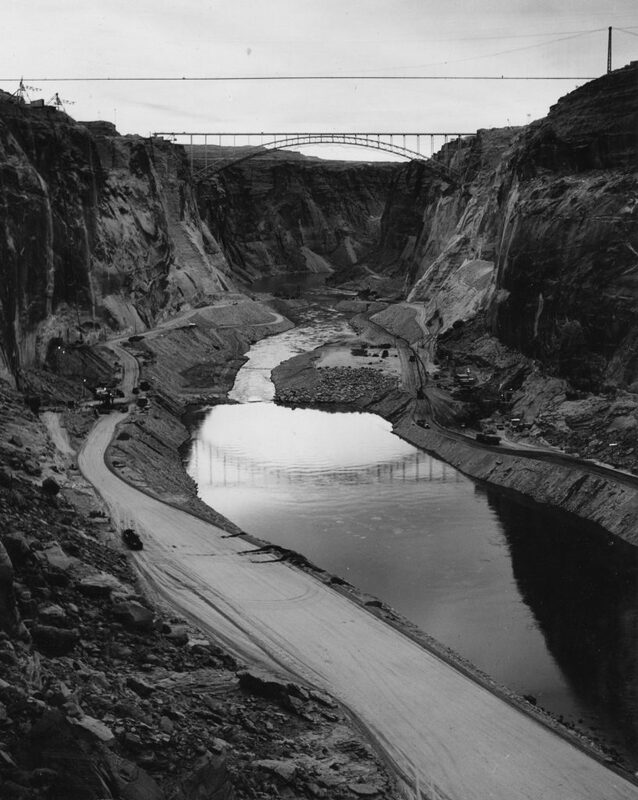 When building the dam became a reality in 1956, they decided to actually go see the canyon for themselves. Once they saw it, they regretted the compromise they had made. 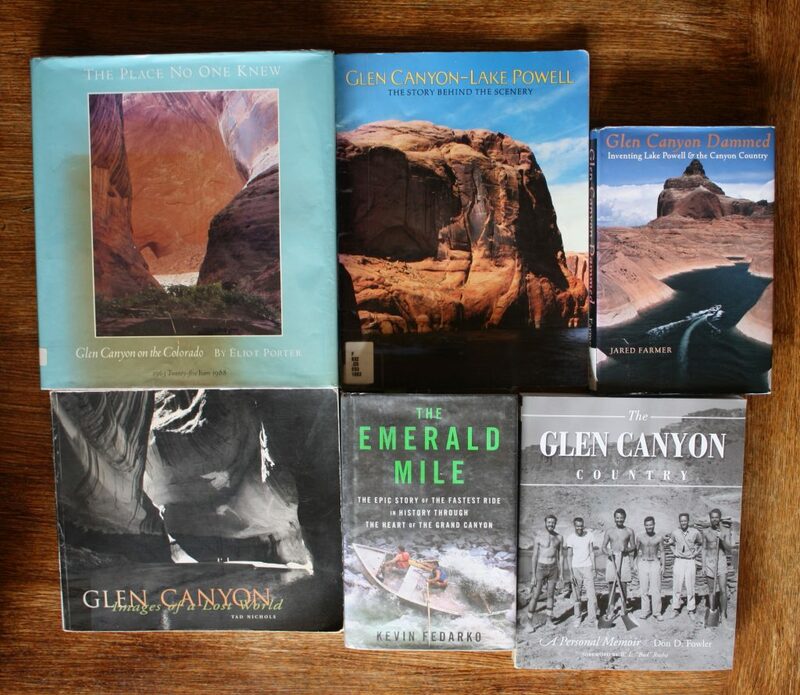 As Jared Farmer, history professor at Stony Brook University and author of the book “Glen Canyon Dammed,” explained, Brower realized Echo Park didn’t hold a candle to Glen Canyon. 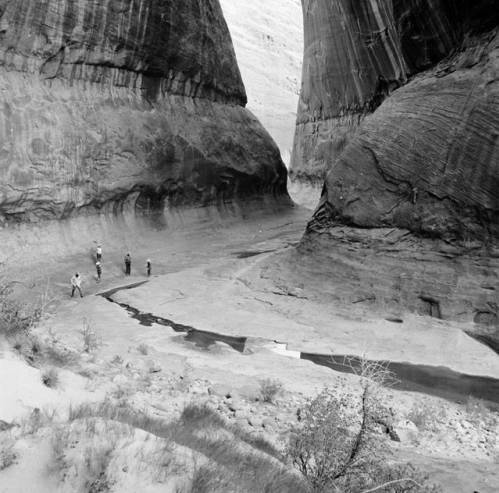 Once Glen Canyon was scheduled for “execution,” it became a much more popular place. Many desired to see what would soon be buried in a watery grave. 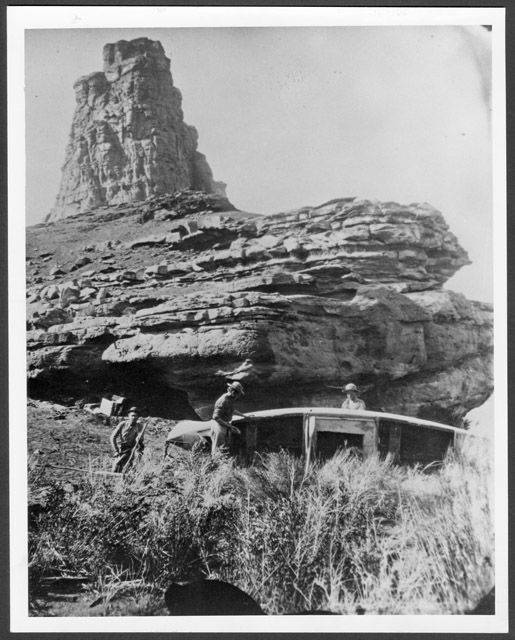 In the late 1950s, archaeologists from the University of Utah started to lead many excursions into the canyon to catalog and gather Ancestral Puebloan artifacts and document the ruins that would be lost in the flooding. The people most affected, emotionally and economically, were river rafters who had been frequenting the river for years. 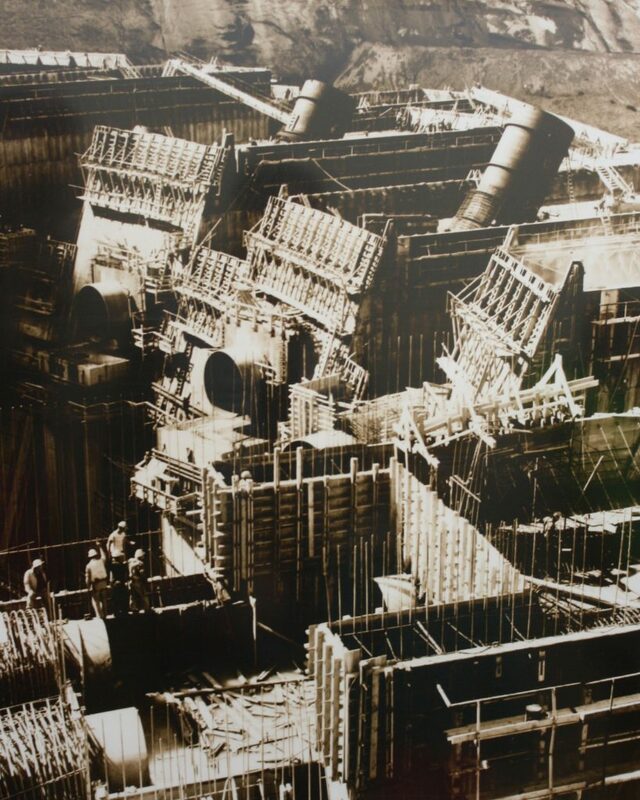 To the dam’s credit, it did make their business more brisk from 1956-1962, during dam construction, but to them, it was like spending as much time as they could with a loved one diagnosed with a terminal disease. 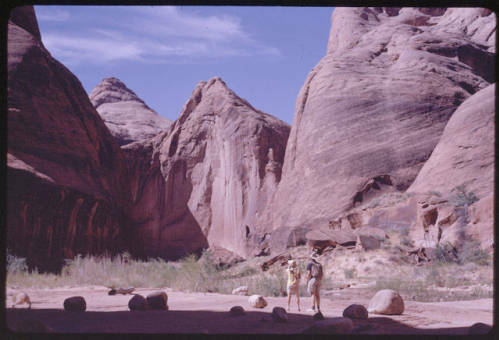 Folk singer Katie Lee became a self-proclaimed addict of Glen Canyon based on river runs through it in the 1950s and early 1960s. She even labeled the agency that built the dam, “The Bureau of Wreck-The-Nation.” She wrote a tribute to the canyon in a photo book entitled “Glen Canyon: Images of a Lost World” by her river-runner and photographer friend Tad Nichols. Most river guides did not transition their businesses to the reservoir out of disgust and heartbreak over the dam. The only one who did was Art Greene, who had the foresight to lease formerly barren land that would eventually become Wahweap Marina, where he became the main concessionaire. In the canyon’s waning moments, it served as a stand-in for the Holy Land in an epic movie, “The Greatest Story Ever Told,” a retelling of the life of Jesus Christ. Whereas “This is Dinosaur” proved a lifesaver for Echo Park, “The Place No One Knew,” a book of Glen Canyon photographs by color photo pioneer Eliot Porter published in March 1963, essentially became Glen Canyon’s obituary – a showcase of a singular landscape no one would likely see again. 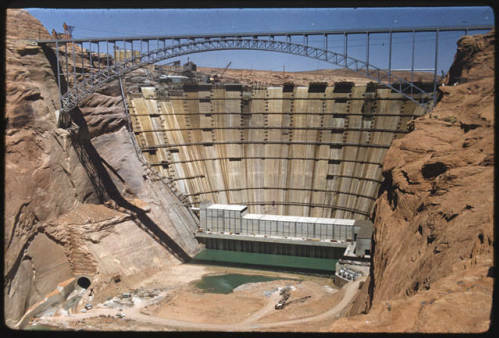 The book’s release date came approximately at the same time the dam’s diversion tunnels were closed, which gave birth to Lake Powell. Bureau of Reclamation engineers, who had been scoping out an ideal spot to build a dam since 1916, decided on constructing the dam where it is, 15 miles north of Lee’s Ferry due to the canyon’s narrowness at the location; the availability of aggregate material nearby to make cement; and canyon walls and a bedrock foundation that were determined to be strong and stable enough to eventually support what would become a 710-foot tall dam. 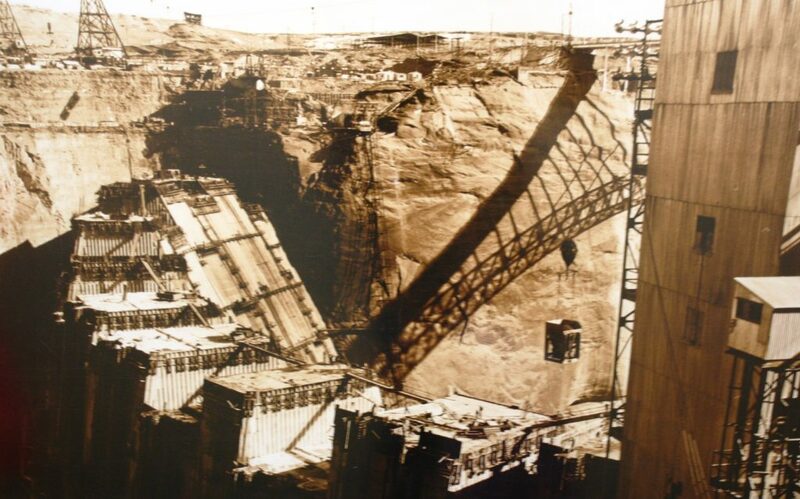 Congress approved the enabling legislation to build the dam, the Colorado River Storage Project Act, on April 11, 1956 and construction began on October 15, 1956; President Dwight D. Eisenhower pressed a telegraph key from Washington D.C. that set off the first explosion. 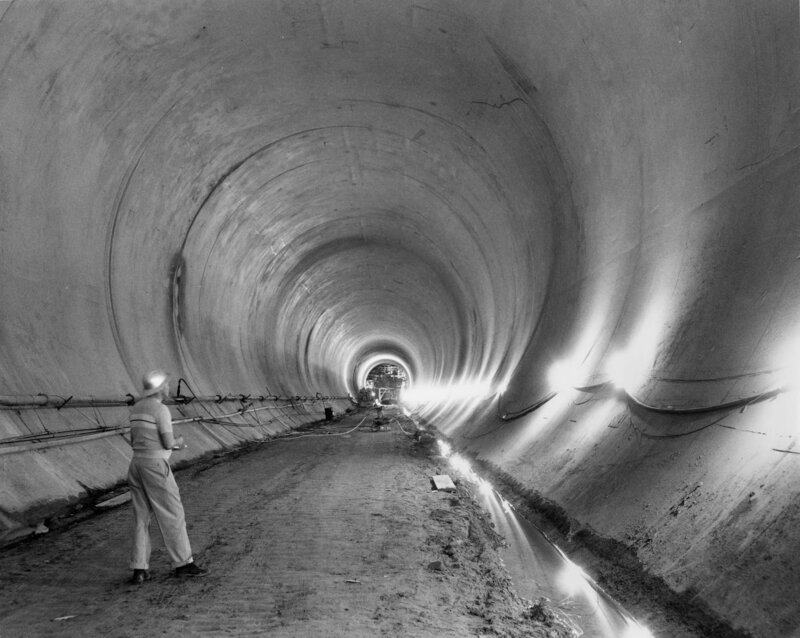 Just preparing the site, which included blasting two 45-foot wide, 3,000-foot long diversion tunnels to channel the river’s path out of the way of construction and excavating down 137 feet to the canyon’s bedrock to construct the dam’s foundation, took 3 1/2 years. Due to the controversy surrounding the dam, part of the construction process for the Bureau of Reclamation was a publicity barrage, Russell Martin reported in his book, “A Story That Stands Like a Dam.” Russell said that Bureau of Reclamation Commissioner Floyd Dominy “was certain that if he got the truth out, if school kids and Kiwanis clubs, Rotarians and Lions and chambers of commerce across the country got the straight stuff about what a boon, what a blessing this dam would be,” the criticism would quiet down. 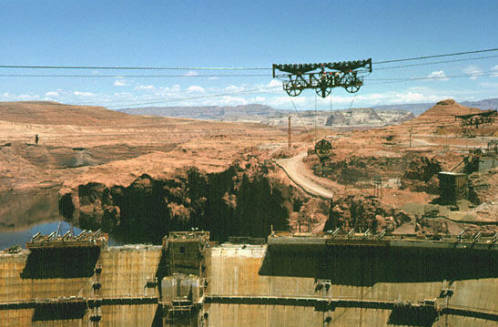 To aid in public relations, the bureau produced a film entitled “Canyon Conquest” in 1959 in which an old Navajo man is the central character and inspects the bridge and dam construction site to understand it and to “pronounce it good,” Martin wrote. By the end of the film, even though the dam was still a mystery to the man, “the narrator offered the assurance that at least he knew it would mean ‘energy-pulsing, flashing power … life for the swarming population as yet unborn,’” of course referring to the electricity the dam’s turbines would produce. Several important things were built prior to the dam before construction could even commence: roads and electrical lines to the remote area, a company town to house workers (Page, named for former Bureau of Reclamation Commissioner John C. Page) and a bridge so that construction workers wouldn’t have to take a 200-mile trip just to get to the other side of the river. The roads built connected to form U.S. Highway 89. Page was established in 1957 and incorporated in 1975. The bridge, whose central arch towers 680 feet above the river, was the highest bridge in the world at the time it was finished in 1959. Each of these three integral precursors ended the area’s isolation. That isolation was one of the challenges of the dam’s construction – getting the necessary materials and equipment to the site. 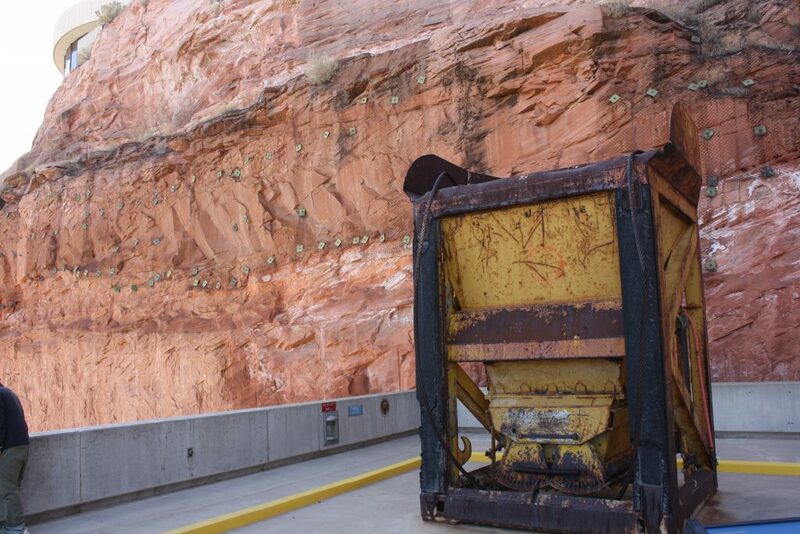 Trucks came from Kanab, Utah, and Flagstaff, Arizona, around the clock with fresh supplies. 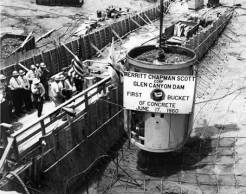 Construction on the actual dam itself did not begin until June 1960, when concrete placement began. 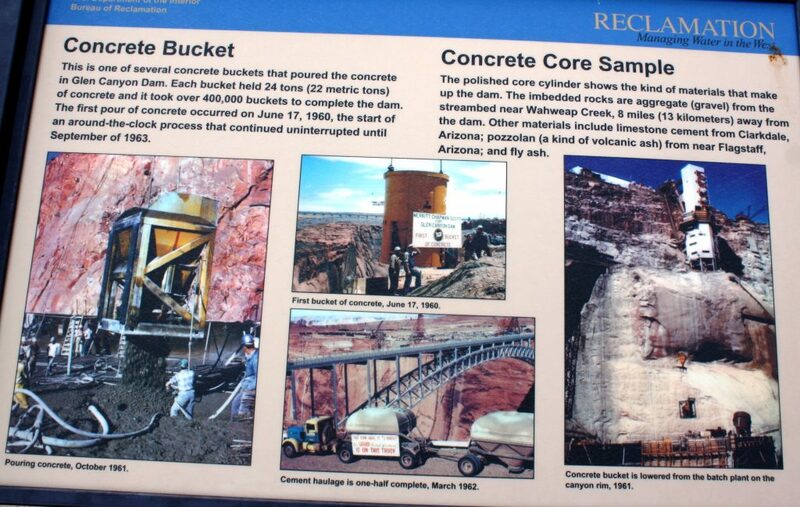 Concrete was poured using 24-ton capacity buckets by way of an aerial tramway strung across the canyon from a concrete batch plant protruding out of the side of the canyon. Additionally, as concrete was poured, workers had to install cooling pipes that carried water from the ice plant to cool the concrete to help it cure during the hottest months. Constructing the dam was a dangerous proposition. 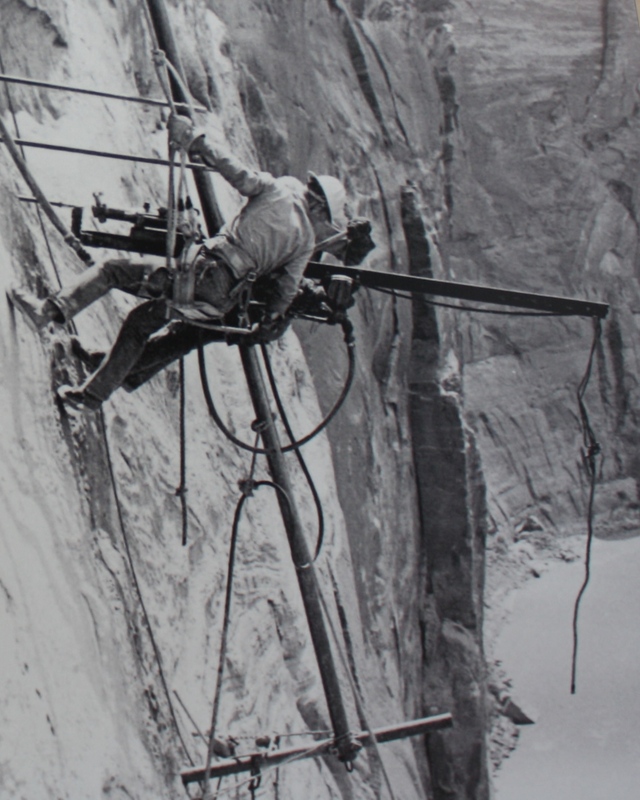 One of the most dangerous jobs was that of men known as “highscalers” who descended down the face of the canyon walls to prepare it for construction, including inserting bolts and mesh to prevent rockfalls. They later descended down the dam to complete tasks such as tightening bolts. 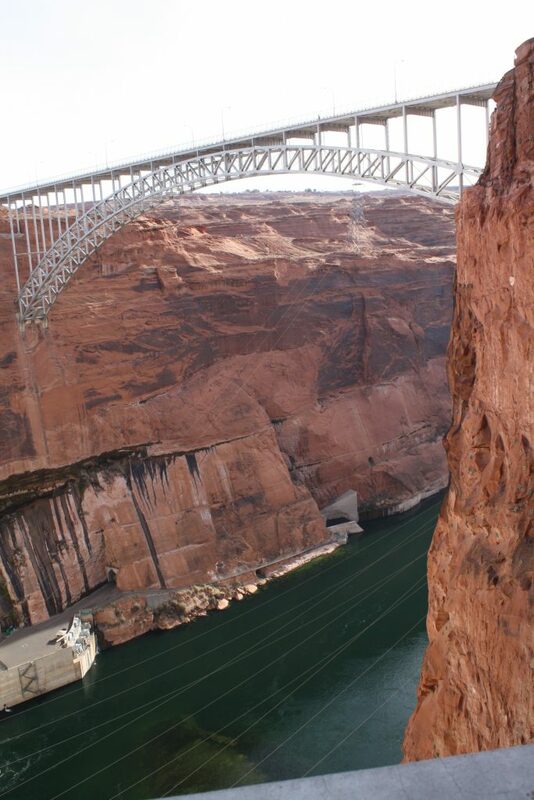 Dan Barlow, of St. George, had another dangerous job working on the dam. He was a carpenter who put the concrete forms up. Sometimes the danger of the job would scare Barlow. Barlow said he witnessed a man fall through an elevator shaft 135 feet to his death. With a total of approximately 2,000 workers during dam construction, there were only 18 deaths and those came without the more rigorous safety protocols that would be in effect today. Barlow had a simple philosophy to keep himself safe. Impoundment began forming the reservoir in March of that year, approximately six months before the dam’s actual completion, and the reservoir did not reach full capacity until June 1980. 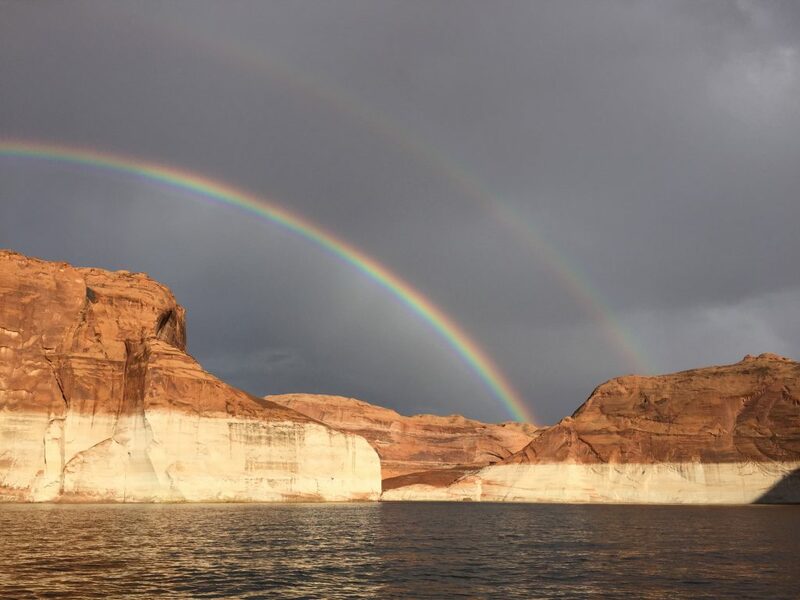 One of the mandates of the National Park Service mission is to provide enjoyment for visitors and many would argue that Lake Powell, part of Glen Canyon National Recreation Area, has done just that. 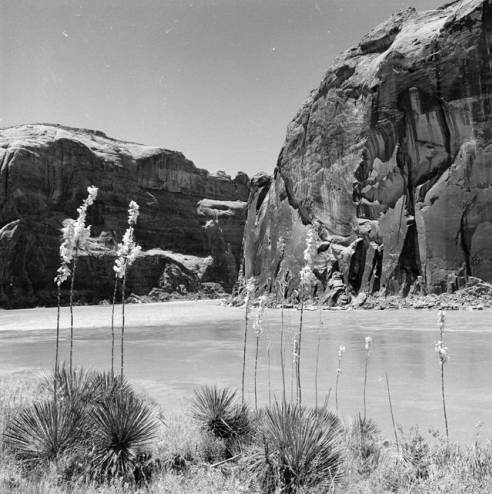 However, it hasn’t done it in the way that the original proponents for making the Glen Canyon area a national park envisioned. 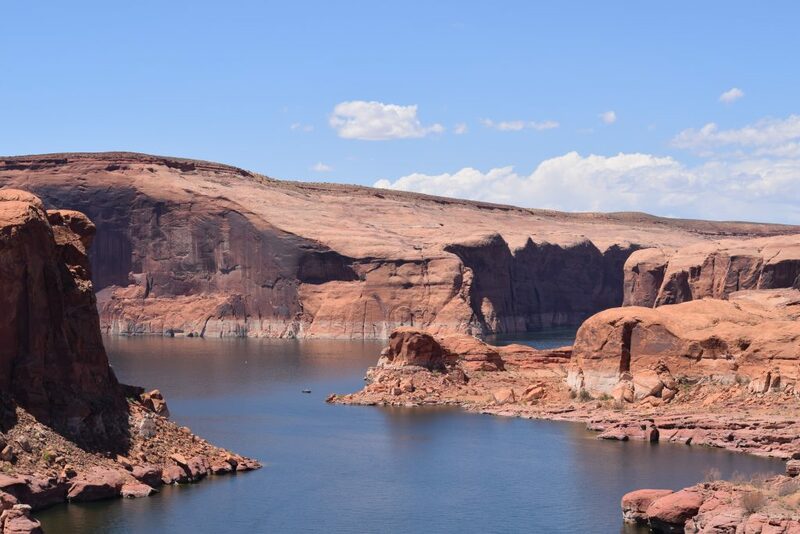 Regardless of its national park status, Lake Powell has definitely made Glen Canyon a recreation mecca accessible to the average tourist. 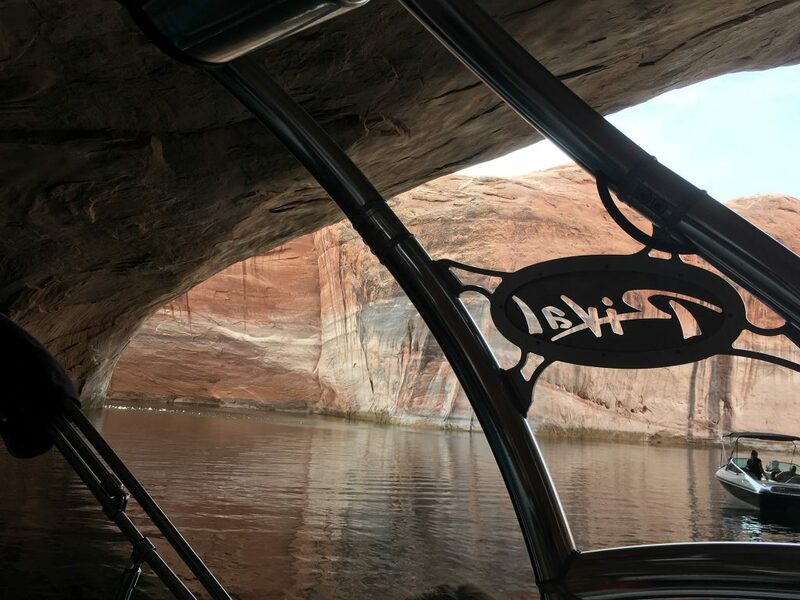 Anyone with access to a watercraft can explore its vastness, including picturesque side canyons. 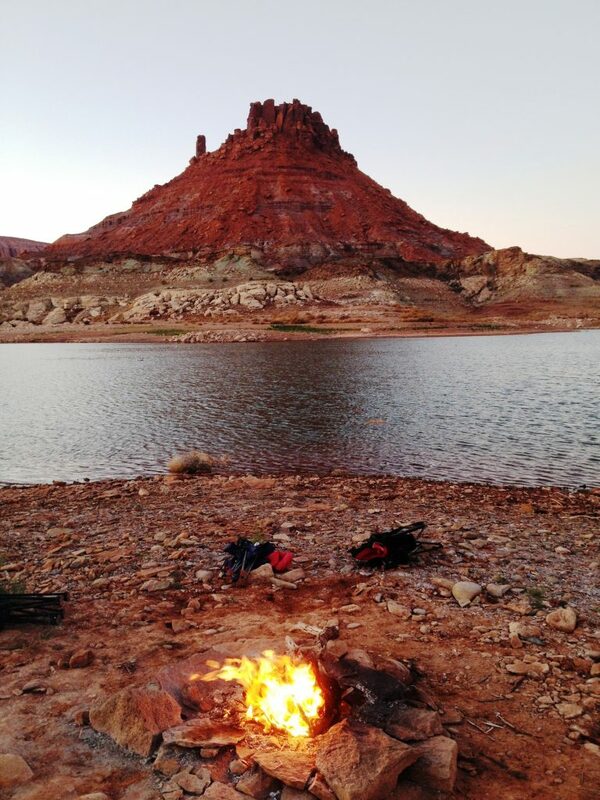 Early Lake Powell boosters foresaw it as the hub of what they called the “Golden Circle,” a cluster of scenic attractions including Grand Canyon and Zion national parks. 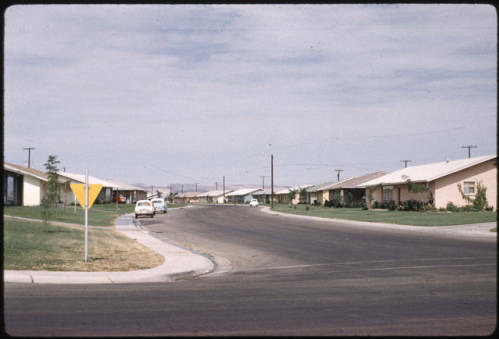 “New beauties revealed by the modern lake approach are worth the sacrifice of former rugged primitiveness,” Arizona Highways’ editors noted on the lead page of an article written about the lake soon after its birth. 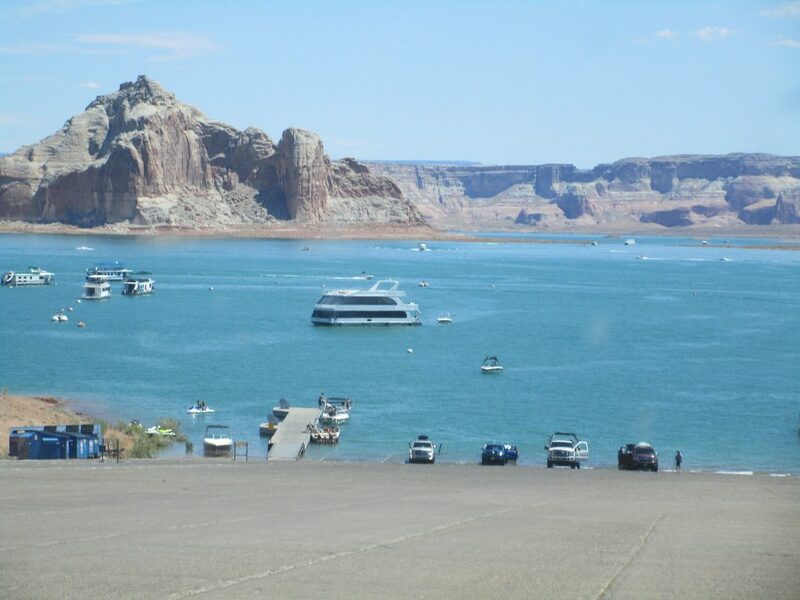 Today, Lake Powell has emerged from that wild state and is dotted with marinas and other tourist accommodations and developments across its 186-mile length (when full). 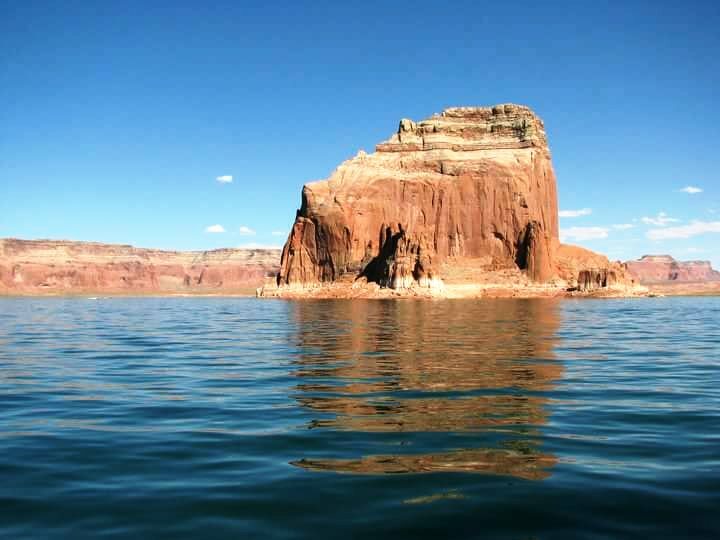 For Utahns especially, Lake Powell is practically a rite of passage – a regular vacation destination. 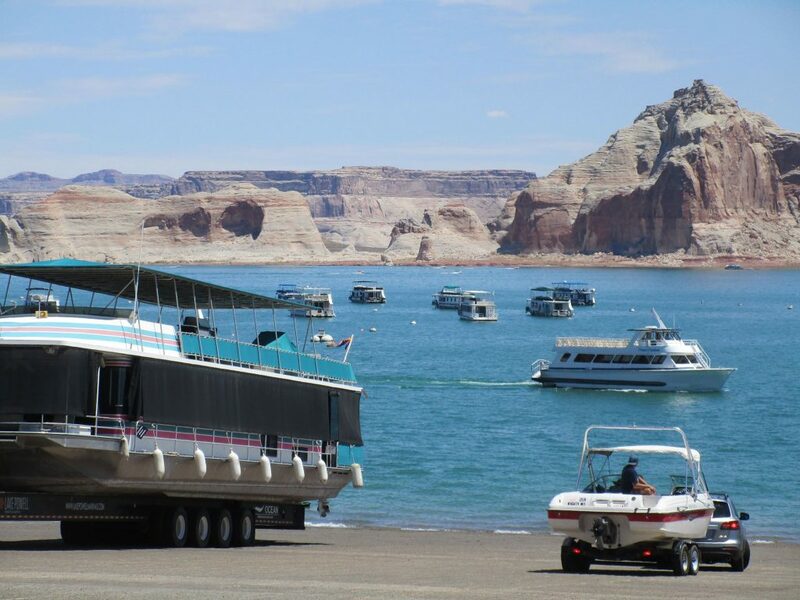 It has become the top houseboating lake in the nation and with its extremely long channel, water-skiers can go for as long as they can stand. 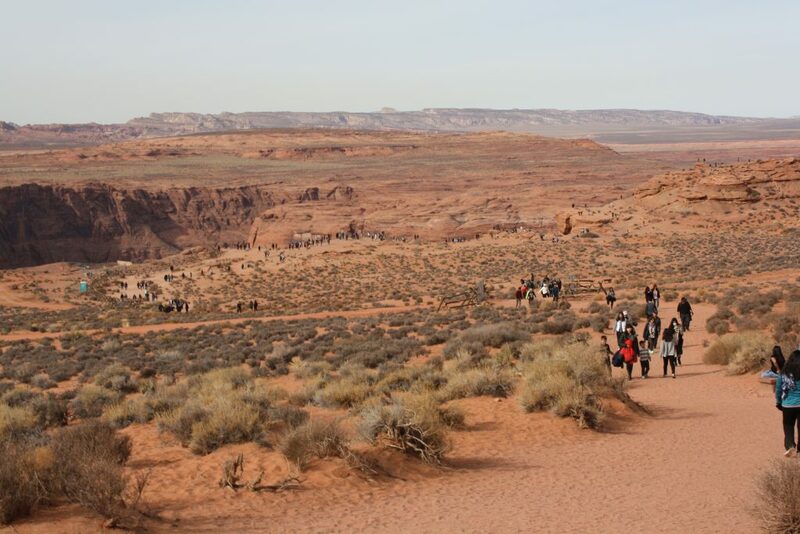 “Many families and large groups enjoy houseboat trips for reunions and exploring side canyons by kayak or small boat, with hiking in formerly very remote areas,” said Glen Canyon National Recreation Area archivist Cindy Stafford. 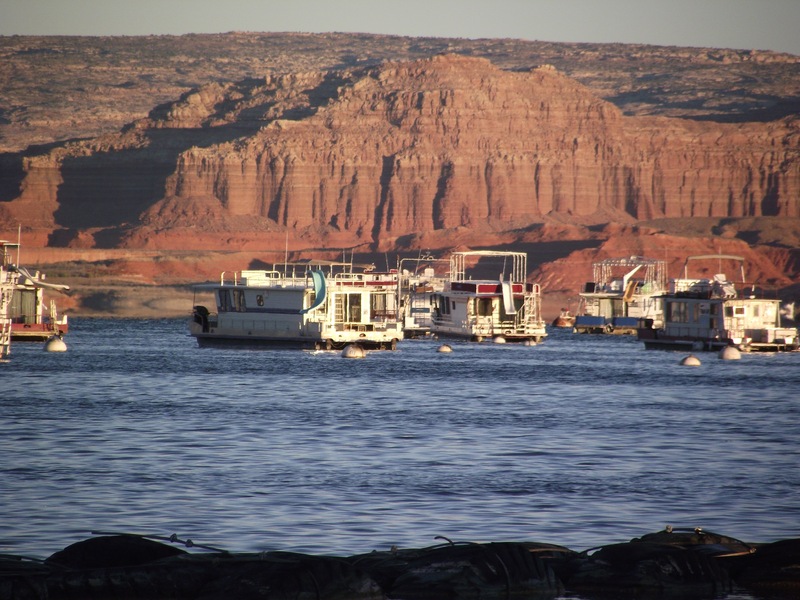 Fishing is also a big draw at Lake Powell, which hosts annual tournaments, she also noted. The dam has had an effect on wildlife both positive and negative. 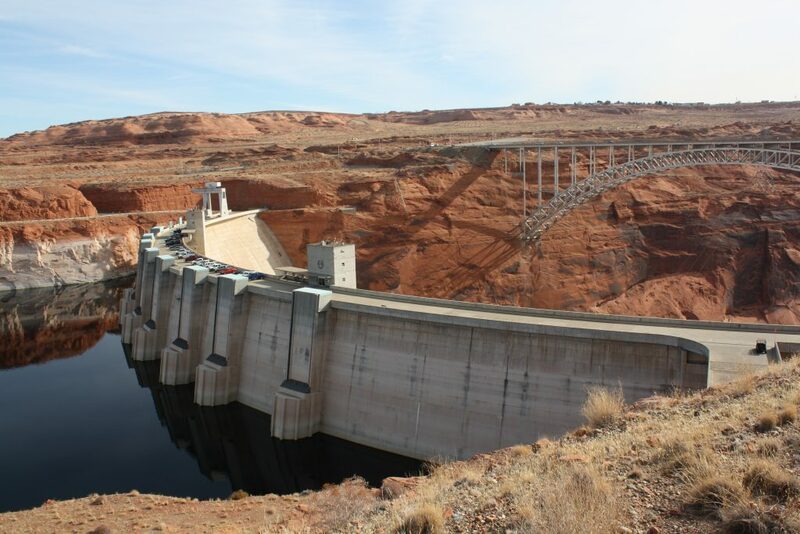 John Spence, chief scientist for Glen Canyon National Recreation Area, said the dam negatively affected the native fish. The dam has helped the resurgence of other fish populations. There has also been a resurgence of waterfowl such as ducks, gulls, terns, waders and shorebirds since the birth of Lake Powell, Spence noted. 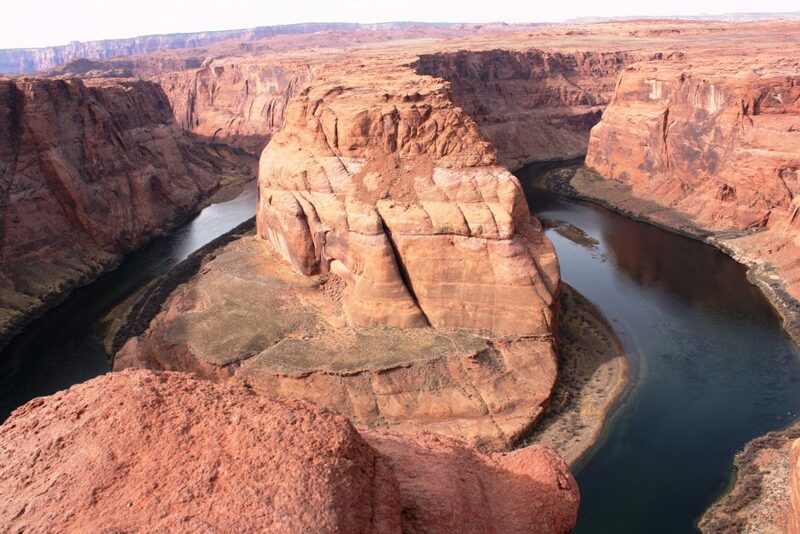 Is there a balance to be found in Glen Canyon and Lake Powell? Without them, much fewer people would venture to see the area’s superb scenery. Without them, the town of Page might not even exist. Without them, the area would not be as economically robust; for example, the national recreation area accounts for approximately 3,419 local jobs, a recent federal report noted, and spending in local communities by park visitors exceeded $240 million in 2016. 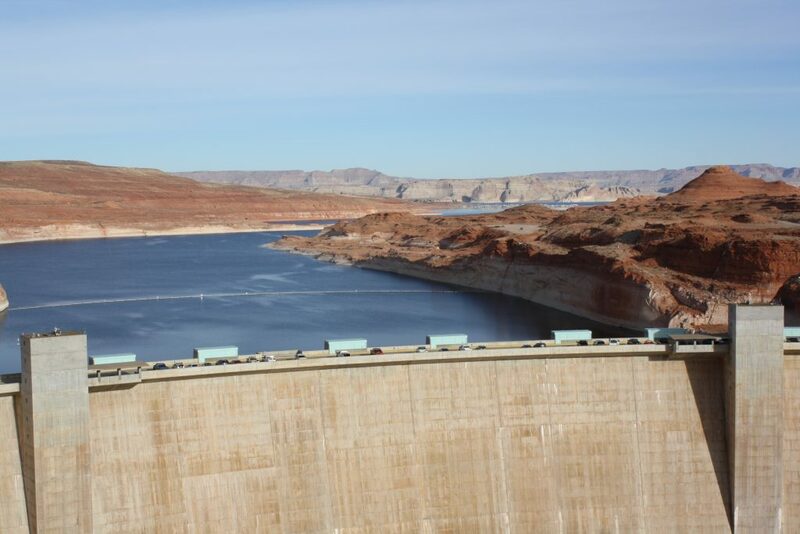 But with the dam and the lake, there are still those who lament what could still exist if the canyon had not been inundated and who feel that Lake Powell isn’t living up to its primary purpose – water storage. 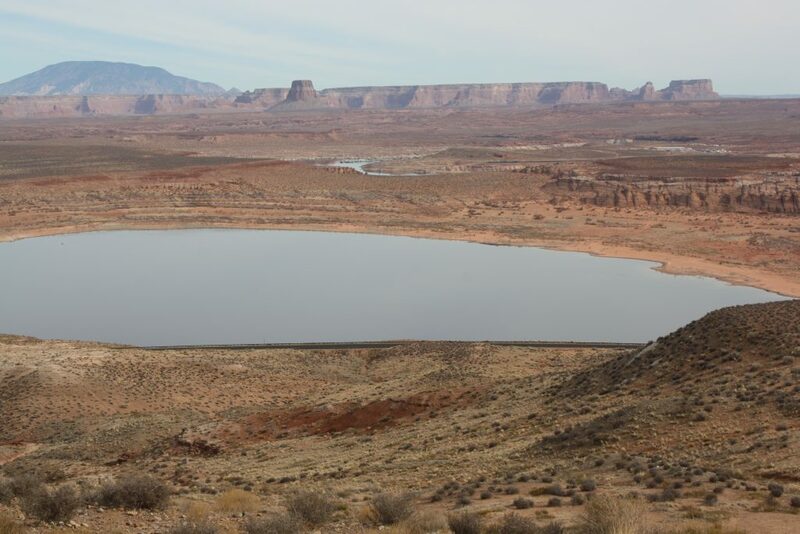 There are still calls to drain the lake, chief among them from the Glen Canyon Institute, an advocacy organization whose goal is to restore the Colorado in Glen Canyon to its free-flowing former glory. 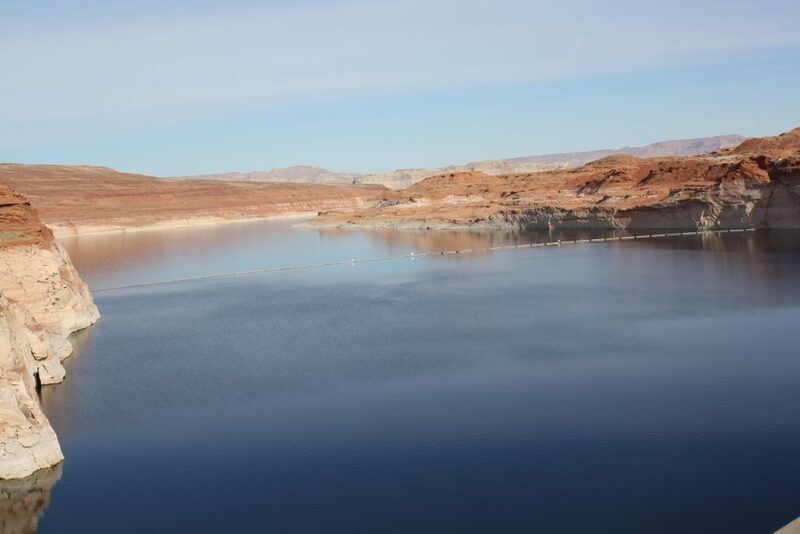 The Institute’s position is that a fuller Lake Mead would lead to less water loss via evaporation and seepage through porous sandstone than it would having two separate reservoirs. Some on the anti-dam side say that the dam cannot stand forever. 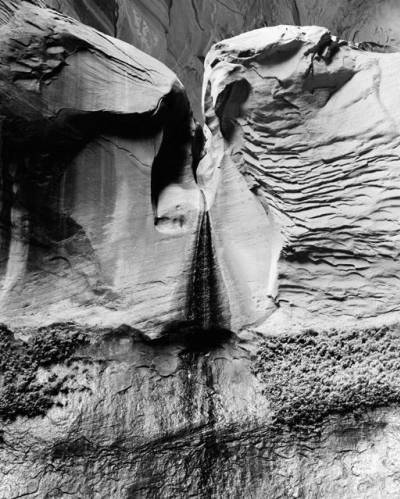 In fact, Rebecca Solnit, in a recent article entitled “Letter From a Drowned Canyon” in “The California Sunday Magazine,” wrote that she sees evidence that the drop of Lake Powell’s water, specifically where the Dirty Devil River meets the lake, has caused the river to carve its channel deeper, lusher vegetation to appear on the banks of silt, and natural processes that have started to restore the river to how it used to look. What one must consider when looking at the history of Glen Canyon is that much of the literature available – and there is plenty – leans toward the dam-detractor side. Those have the loudest voice, it seems, but cannot be considered the majority. In fact, Spence wrote that he does not recall speaking to anyone who bemoans the dam’s existence during his entire National Park Service career. “Page is a pretty quiet town and not a lot of discussion goes on here about the issue that I have heard,” he admitted. Of course there are many who would lament Lake Powell’s death, were it to die as Solnit perceives. All those who enjoy its recreation opportunities from year to year would certainly view its death as a major travesty. 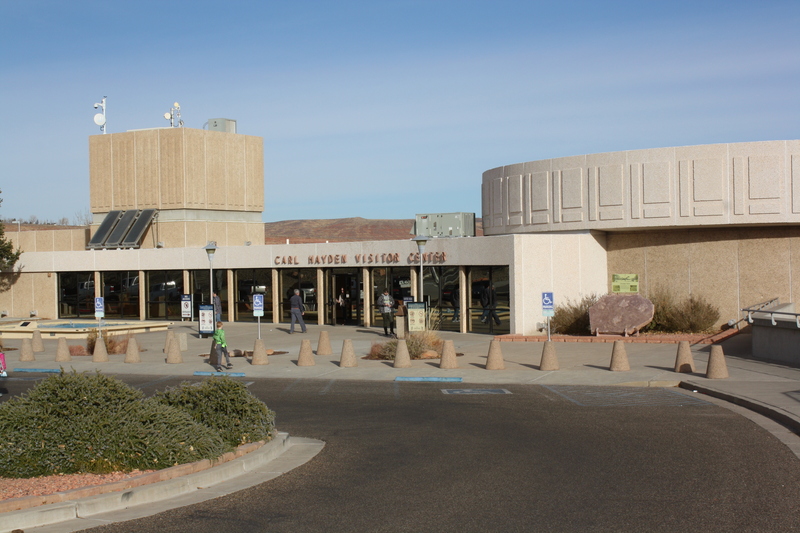 Glen Canyon Dam and its Carl Hayden Visitor Center, adjacent to Page, Arizona, are located approximately 2 1/2 hours east of St. George via Utah’s state Route 59/Arizona’s state Route 389 from Hurricane to Fredonia onto U.S. Highway 89/89A from Fredonia to Page. 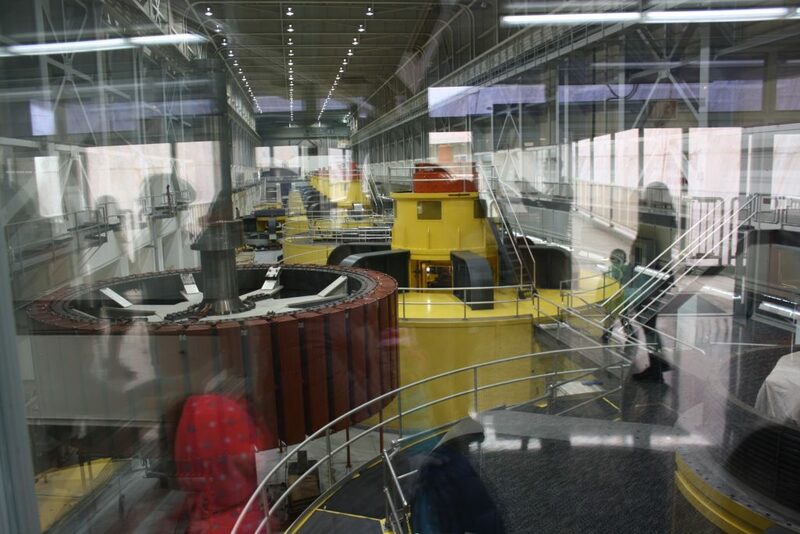 Tours of the dam originating from the visitor center are offered daily. 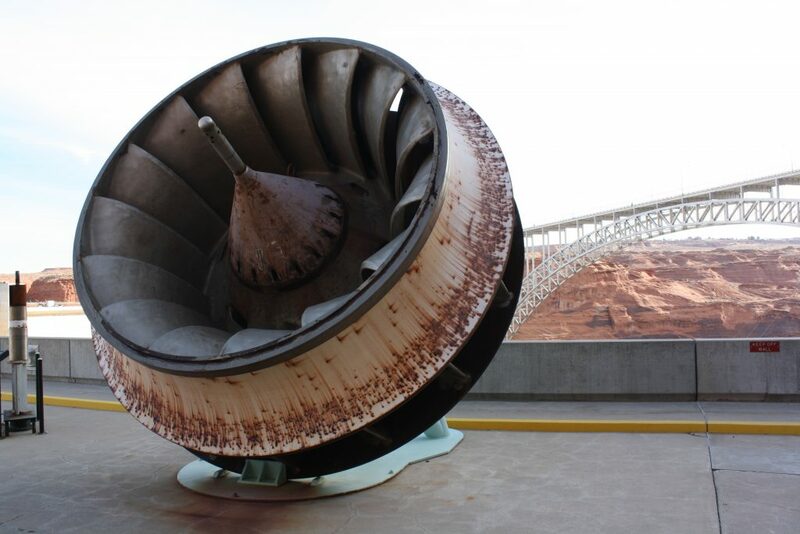 More information on tours is available on Glen Canyon Dam’s tours webpage. 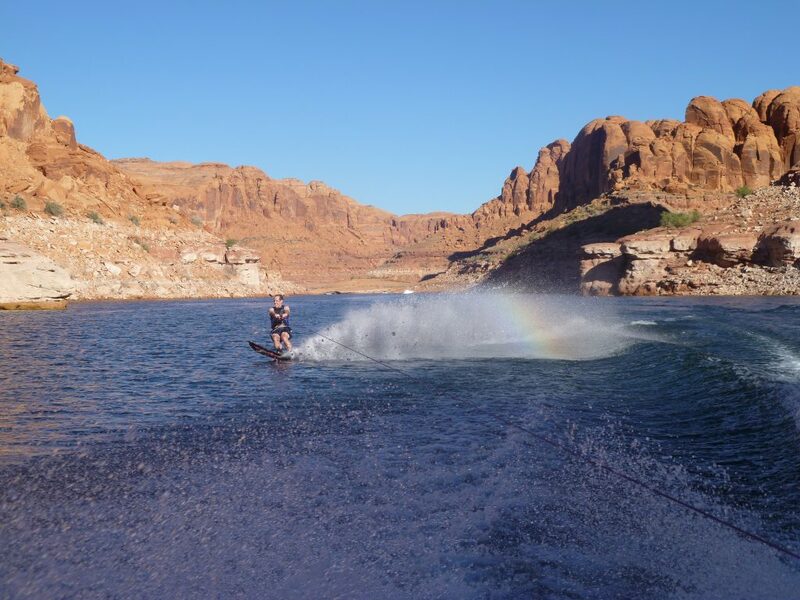 Lake Powell itself offers a variety of recreation opportunities emanating from its several marinas which are, from south to north, the following: Wahweap, Dangling Rope, Hall’s Crossing and Bullfrog. 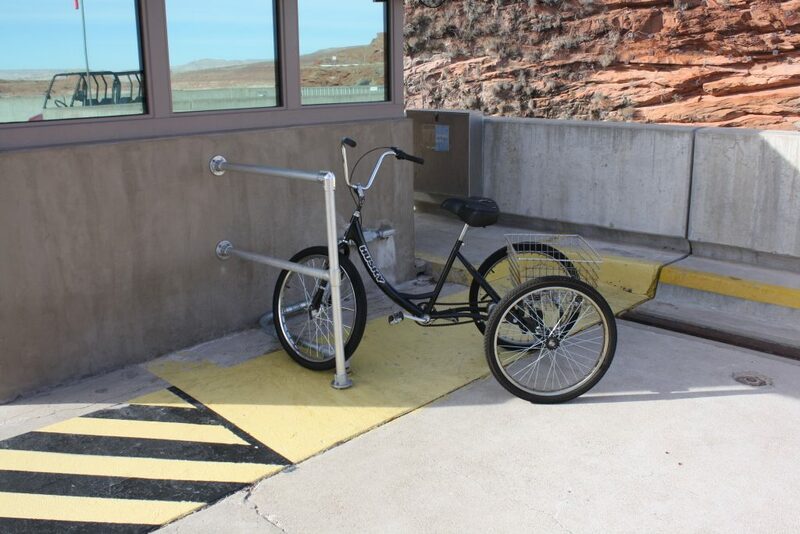 More information on these is available on the Lake Powell Resorts & Marinas marina information webpage. 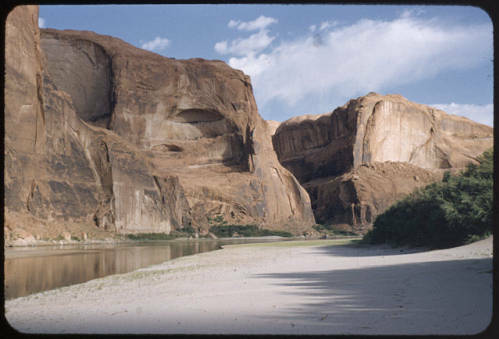 More information on Glen Canyon Recreation Area is available on its website. Great assembly of the history, and viewpoints, surrounding GCD. Thanks!